Nothing changes until you change. Everything changes once you change. 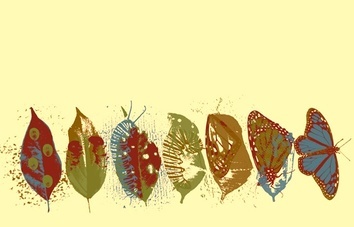 I am thinking about transformation on this late spring day. It’s remarkable how this beautiful act happens before our eyes. We know it in all its forms—bud turns into flower, caterpillar into butterfly, my lovely boy into a young man off to college in NYC, ready to fly. And me—can I still be transformed? I believe I have no choice but to change, and this is why we must stay curious, continue to let go of preconceived notions, allow ourselves to fall in love again and again with this one simple moment. Sometimes we need a little support or a shove. Lately my husband says he wants to shake me out of my state of worry or doubt. I love this. I do think the body needs a wake up call once in awhile. This summer we have a myriad of opportunities to wake up, transform, and have fun! Classes and Workshops --choose from movement, cooking, dance, and more. Events: Come to one of our community events—this week we'll have a Roundtable discussion on "Blue Zones" with Dr. Laura Duncan of Dartmouth Health Connect. Kids & Young Adults: Check out our summer camps and classes—creative moment, cooking and healthy eating, sketch comedy and improv, and more.